This is by far the BEST book I’ve come across on getting writing done (and I’ve read a lot of them)! As a full-time (well, almost) procrastinator, I had been putting off my writing FOREVER!! But after reading Bill’s book, I am happy to say that I am 16 chapters into my novel, and hope to be finished in the next couple weeks! The difference this book made for me was this–Bill says that it’s ok to work in increments, rather than forcing yourself to spend hours upon hours writing. He suggested starting with 15 minutes of writing time a day and working your way up from there. 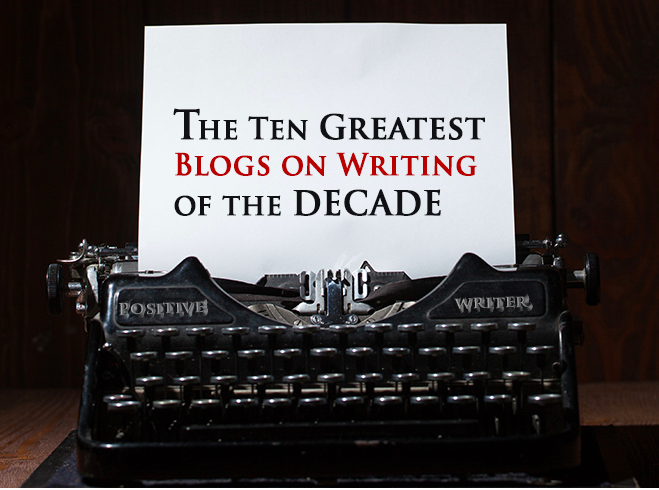 The other major thing that made a difference for me was–Bill says that writers should do what works for them, not what works for other writers. Each writer is unique and has a specific way of getting things done. I used to beat myself up because I’d sit down and write something, then I’d find out it was full of holes, and rather than editing it, I just tossed it aside. But not anymore! Bill made me realize that it’s ok to do things how I need to do them. 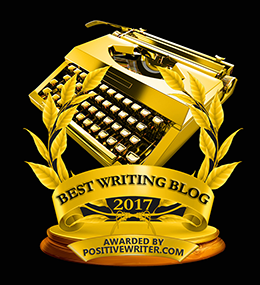 I was always under the impression that to get writing done you had to do like I was taught in all my creative writing classes–just sit down and start typing away. But that doesn’t work for me. For me, plotting the story out ahead of time works. And not only does it work, but it keeps me from having enormous plot holes and makes the whole writing and editing process a breeze. If it weren’t for Bill’s book, I may have never realized that it’s ok to do things my way. 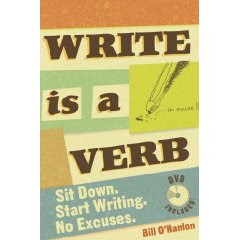 If you’re looking to get your writing done…pick up Write Is A Verb, by Bill O’Hanlon. Prev Share: What Inspires You?